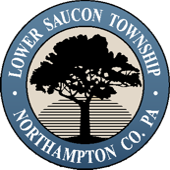 Saucon Township was originally established in 1742 as part of Bucks County. In 1752, county lines were changed, and the large township became part of Northampton County. It was divided into Upper and Lower Saucon in 1753. Both townships were part of Northampton County until 1812, when Upper Saucon became part of Lehigh County. At that time, the new Lower Saucon Township boasted about 200 sturdy inhabitants. Today, it has over 10,772 people and remains the oldest township in present-day Northampton County. The township covers an area of 23.3 square miles, through which run 100 miles of public roads and PennDOT state-owned roads. It is recognized for its pastoral farmlands, tranquil woodlands, and gently rolling hills. Click here to view a list of state-owned PennDOT roads.